In the world of information security, the most common intrusion detection system (IDS) you will ever encounter is Snort As you probably already know, an IDS works similarly to antivirus (AV) software on your desktop; It attempts to identify malicious software on your network and warns you of its presence. In this series, we will address how to use Snort from start to finish, including installation, configuration, managing output, rule writing, and alert monitoring. Next, let's navigate to that directory. Once it has been downloaded, we need to un-tar it and decompress it. To enable us to start and run Snort from any directory, we can make a symbolic link from the binaries in /usr/local/bin/snort and a new file in/usr/sbin called snort. Since /usr/sbin is in our PATH variable, we can then type Snort anywhere within our operating system to start our IDS. 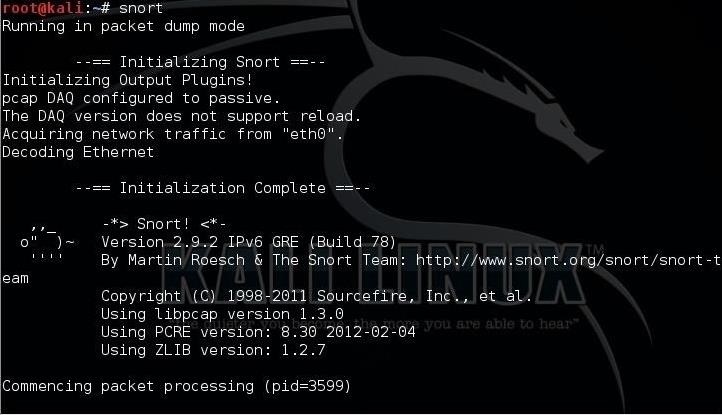 Now that we have successfully installed Snort, we will progress to configuring it to detect malicious software.